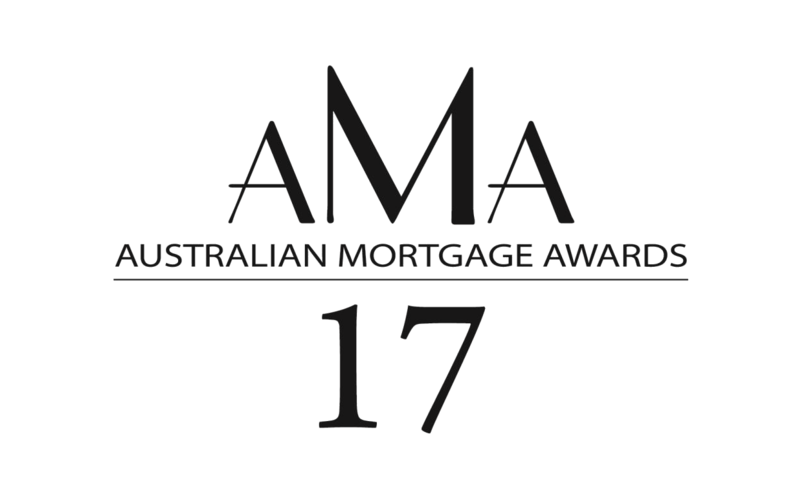 After a challenging year for broking, the 16th annual Australian Mortgage Awards was a night to recognise the best brokers in the industry and the top-notch service they provide. Here are some of the stars. 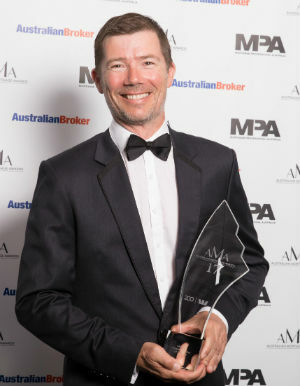 Simon Orbell was outside the awards ballroom congratulating and celebrating his colleague Misa Huynh when the award he was nominated for was being presented. He rushed back in just in the nick of time as he was being announced as the winner. By Monday morning, it still hadn’t totally sunk in. “Getting to the office today, everyone’s been so complimentary and congratulating me, but it still doesn’t feel real at the moment to be honest,” he said. Orbell said the award meant a lot to him because it was recognition of the effort that he’d put in, as well as the commitment and support that his family, colleagues and clients had invested in him. “It’s just lovely to be recognised, and there’s a real sense of pride as well. I get a real sense of pride to be named in such a prestigious environment,” he said. Orbell made sure his awards application this year included more testimonials from customers and industry participants, and he backed that commentary up with data. He believes that having those voices in there might have made the difference with the judges this year. Misa Huynh came to Australia as an overseas student from Vietnam with very limited English. She was alone and knew no one. 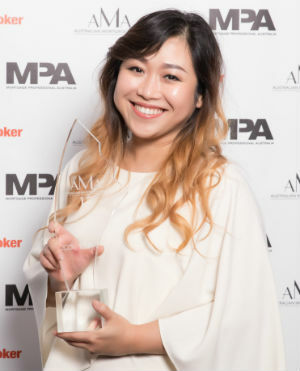 She never would have imagined that on 27 October 2017 she would be celebrated for being the best young independent broker in the country, a career she once knew nothing about. “It’s huge. It means everything to me. It showed me that hard work pays off,” she said. Huynh started working at Smartmove in 2013 after getting her master’s degree in accounting. She started as a mortgage documents specialist and supported Nichol Cullen, who soon became her mentor. After a year and a half under Cullen’s tutelage, Cullen encouraged Huynh to become a broker herself. “I was so freaked out. I did not grow up here, I did not have anyone, and I didn’t have any friends. Where was I going to find clients?” she said. With her mentor’s assistance, Huynh was able to build her own network of clients. She’s now been a broker for a year and loves what she does. 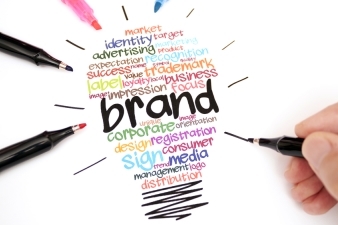 “I love my clients so much, and most of them became my friends. I love helping them and they show the love back by writing lots of Google reviews for me. Maybe the judges saw that,” Huynh said. Not only do customers rave about her, but Huynh also does good deeds outside of work. She’s fundraised to support infrastructure projects in Vietnam, including the construction of a new bridge to replace a dangerous dilapidated one that linked two towns in western Vietnam. She raised more funds than she needed, so the extra was used to build two schoolyards. Now she’s looking to fund a road project in eastern Vietnam where flooding often makes it impassable. She’s incredibly modest about her volunteer work, but that’s one of the things that makes Huynh more than just a good broker: she’s a standout citizen. Ian Robinson may work out in the bush, but his name is one that everyone knows. 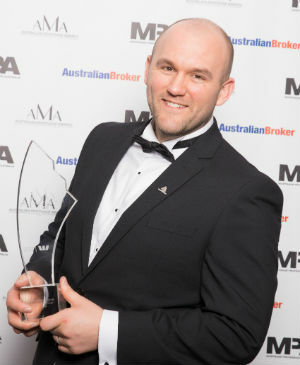 Not only did he win the much-coveted Westpac Australian Broker of the Year award, but he also snapped up the ANZ Broker of the Year – Commercial award and the Pepper Money Broker of the Year – Specialist Lending award. While Robinson has been crowned many times in the past, this was his first win at the AMAs. “It was completely unexpected without a doubt; it caught me by surprise. I’m very excited to share this with my teammates,” he said. 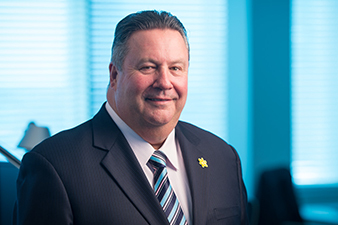 Specialising in corporate, commercial and agribusiness finance in regional Australia, it’s not uncommon for Robinson and his colleagues to drive 400–600km just to meet a client. “We operate in the country, we work with a lot of farmers, so there’s a lot of commitment and time involved in working with our clients. It’s a long game and very much a relationship-driven business that we’ve got, and I think it pays off by putting the time in,” he said. Robinson Sewell Partners has a big year ahead. It recently expanded to Tasmania and South Australia and is looking to continue its national expansion by adding brokers in Queensland and Victoria and eventually moving into Western Australia. “We’re speaking to new candidates as we speak, and business is growing; it’s very exciting,” Robinson says. 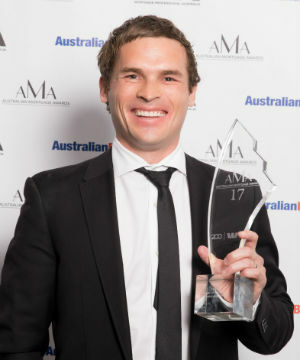 Lee Wisniewski runs a lean operation in Melbourne with one full-time loan writer and a contract loan processor, but that didn’t stop him from making a big impression on this year’s AMA judges. Wisniewski won both Young Gun of the Year – Franchise and the overall CBA Young Gun of the Year awards. He believes his wins have to do with his business maturing this year, putting on staff and implementing new processes to create efficiencies and better serve customers. Wisniewski says he has also embraced new technology to the point where his team is probably working less than it did the year before because they’re being more efficient. In their first full year of broking, his team settled $44m and is on track to settle $60m–$80m in the next 12 months. For those aspiring young guns, Wisniewski compares breaking into broking to this analogy from Loan Market’s chairman Sam White. Picture a spaceship with huge fuel tanks trying to get aloft. “You need so much fuel to just get off the ground, never mind through the atmosphere, but once you get up there you can make a really big difference; you just need to break through that. And it’s just a lot of hard work at the start, but hang in there,” he said.